Many times it has been pointed out that the great irony of the internet revolution has been the proliferation of egregious stupidity and mean-spirited neurosis that has followed in its wake. Imagine what intellectuals of centuries past would have thought if you had described for them the basics of an internet message board, where people of any class or background might go and exchange ideas. What a leap forward for civilization, they would have said. What a breakthrough. Some internet forums could be called that, but what percentage? And what percentage could not be called much more than showcases for the most basic logic flaws, intellectual poverty, and psychological dysfunction imaginable. All of it being presented with the glib smugness of someone who knows that he (and these are generally guys) will not have to defend any of their junk. There will be no meaningful debate. It’s all product of an echo chamber of ideology. All of it is backed up by the say-so of some strong man, with a booming voice, supported by conspiracy theories. There you have the great triumph of our age – the internet flame-war troll. Pathetic is too weak a word for it. So is deplorable. It is unfair to dump all of this on the computer age. Radio may be the ultimate tap root of our current Anti-Intellectual Revolution. Radio, used and abused by Adolph Hitler, is the medium that has held together the most reactionary elements of America since Father Coughlin first went bunding in the 1930s. 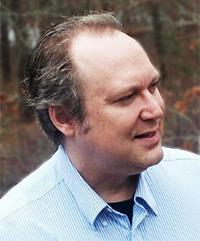 When Barack Obama defeated John McCain in 2008, major newspapers said that the leader of Conservative America was now Rush Limbaugh. Not any Republican governor or senator, or anyone accountable to checks and balances, but a radio flamer whose ratings never depended on being demonstrably right, only on being “bombastic.” In other words, a troll. Limbaugh has spawned an army of clones over the decades of his career, but he was certainly not the first in this formula. 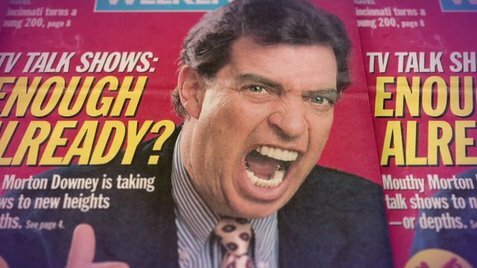 Before Limbaugh we had Morton Downey Jr., another guy who sky-rocketed to popularity just by screaming insults. Before Downey there was an oddball in the early 1980s named Wally George. Eerily similar pattern. Before Wally George we had Joe Pyne, who lambasted hippies and anti-war protesters in the 1960s and 70s. In the 1950s it was Senator Joe McCarthy and company. Walter Winchell. Hedda Hopper. Before them it was Father Coughlin. This long established cult of anti-intellectuals is now primed to make its biggest move ever. If they prevail, the blame will rest entirely on those who saw it coming and tried to pretend that this was just another political movement. No big deal. The reality is, even if Donald Trump loses it would do little to set back this mentality. They live in a world of their own. Reality need not apply. On November 8th we get an indication as to the dimensions of that fantasy land. 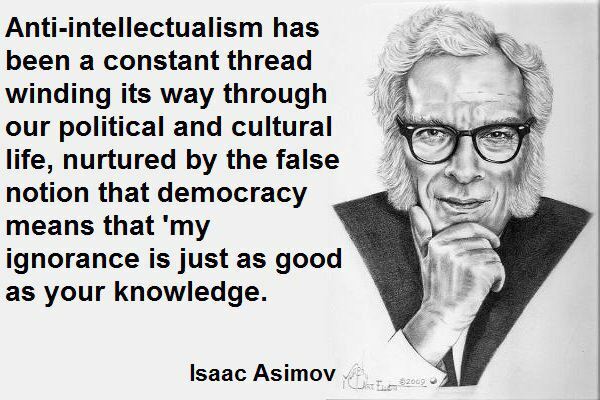 Tagged anti-intellectualism, Donald Trump, Know-Nothings, Morton Downey Jr., Rush Limbaugh. Bookmark the permalink.